Befitting the South Florida oasis, the murals here are known for their bright colors that dazzle in the warm glow of the sun. But don’t let those breezy tropical yellows, oranges, reds and blues trick you into thinking the art is just for aesthetics. Sure, some pieces simply put forth a stunning visual, but others offer a real political message that becomes more apparent following each visit. 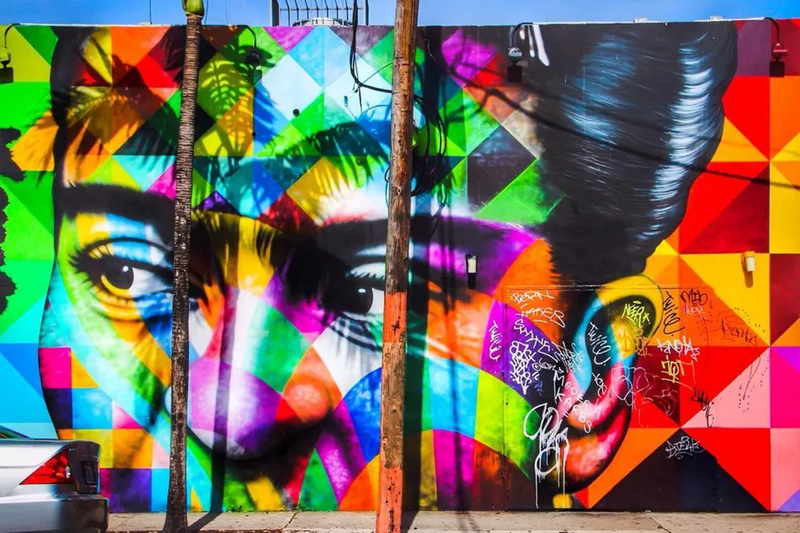 Miami ranked behind only New York, Los Angeles, and Philly, with Wynwood being highlighted as a “must-see” area.